Jonathan W. Stokes (www.jonathanwstokes.com) is a former teacher who is now a rising star as a Hollywood screenwriter. He has written screenplays on assignment for Warner Brothers, Universal, Fox, Paramount, New Line, and Sony/Columbia. 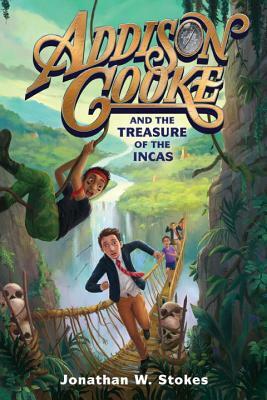 Inspired by a childhood love of The Goonies and Ferris Bueller’s Day Off, Jonathan set out to write his first novel, Addison Cooke and the Treasure of the Incas. Born in Manhattan, he currently resides in Los Angeles, where he can be found showing off his incredible taste in dishware and impressive 96% accuracy with high fives. Follow @jonathanwstokes.